Jonathan Dowdall has quit as a Dublin city councillor. SINN FÉIN’S JONATHAN Dowdall has resigned from Dublin City Council this afternoon. 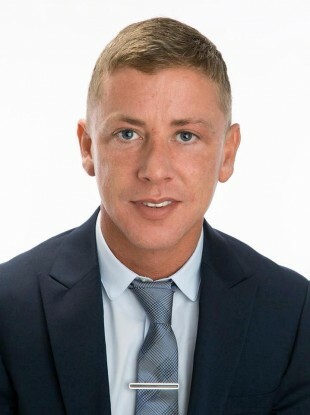 The council confirmed the decision in an email to all councillors this afternoon with the 34-year-old businessman’s resignation taking effect from this Sunday. He could not be reached for comment today. Dowdall’s decision follows a long-running saga in which he initially backtracked on a decision to step down from his seat for health reasons last September. Dowdall later said he intended quitting Sinn Féin altogether after claiming a “small element” in the party in north inner city Dublin spread negative rumours about him. But he then told TheJournal.ie last October that he was “delighted” to be remaining with Sinn Féin and said that the decision came after talks with party figures. The vacant seat will now be filled by a member of Sinn Féin who will be co-opted onto the council. In a statement this afternoon, the Sinn Féin group leader Séamas McGrattan said: “We wish Jonathan the best in the future and his contribution to the Dublin Sinn Féin council team will be greatly missed. “I would like to acknowledge his commitment to the party and I am sorry to lose such a valuable member of the group. Email “The Sinn Féin councillor who resigned and then backtracked has now resigned again”. Feedback on “The Sinn Féin councillor who resigned and then backtracked has now resigned again”.